Hello very cool website!! Man .. Beautiful .. Amazing .. I will bookmark your blog and take the feeds additionallyI am happy to search out a lot of useful info here in the publish, we want develop extra techniques on this regard, thank you for sharing. . . . . . 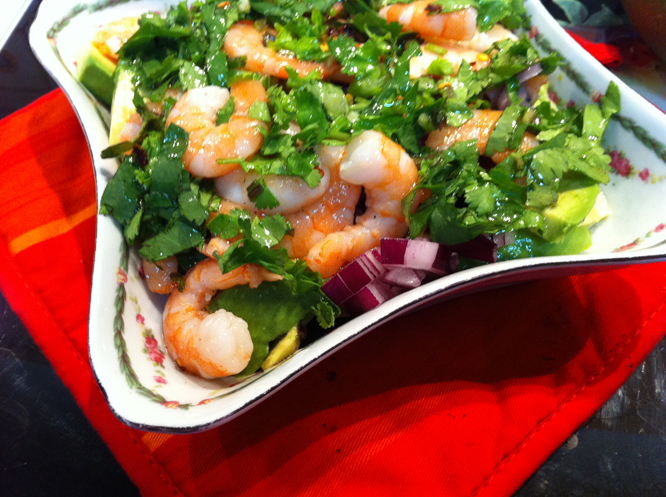 Mix the ingredients for the salad in a bowl with each other so that they soaked in the aromas and juice all together. Th e sald looks so tsty and it seems to me it is pretty easy to cook it. Prawns are mt favourite seafood.